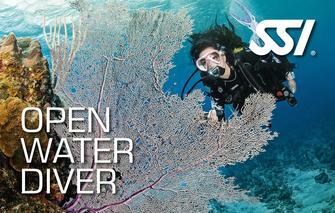 Becoming an Open Water Diver is your chance to explore a whole new world that most people don't get the chance to enjoy. Our training is designed so that you can learn largely at your own pace. Most of your class work you complete at home to give more time in the pool practicing different skills. Depending on your class choice, you are given the options to use a manual, DVD, or online training to complete the class work at a pace that is convenient for you. When we are doing your pool and open water training, your instructor will fit you to your scuba equipment so you will become comfortable in your "second skin." You will get enough practice time to adapt yourself to the underwater environment before you start with your open water training dives. You will still need to complete your check out dives. Check out our Calendar for specific dates. Signing up for class is easy, and you can get started on your own for FREE! 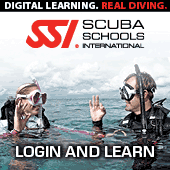 Click on the link and you can gain access to the first half of your Open Water Diver online class immediately! You are learning to dive, which means you are also learning to be awesome, and it is supposed to be FUN. However, every now and then we have to buckle down and be serious. Most of your classroom portion is finished online, all you have to do is come in for a couple of hours to review the information and take a test. Time to take the plunge. You will have a minimum of 4 dives spread out over 2 days to put everything you have learned into practice. Now you can show off your skills and be officially certified to dive the world.